Welcome, autumn! Cooler temperatures; colorful, crunchy leaves; apples picked right from a tree; and hayrides in a pumpkin patch—to me, fall is fabulous! As they explore the colors of autumn, you can also deepen preschoolers’ understanding of color with Mix It Up!, an interactive color journey all within the printed page. Following the artist’s simple instructions, colors suddenly appear, mix, splatter, and vanish in a world powered by imagination. Now, you can download a free activity kit to plan a colorful Mix It Up! party. Click here! Do your students love recess? The young Amelia Bedelia in Amelia Bedelia Shapes Up, the fifth Amelia Bedelia chapter book, does! That is, she loves recess until she isn’t picked for a team. So she takes to the field, to a yoga mat, and to the track as she shapes up and discovers what it takes to be a true champion. This book includes a guide to the idioms used. Click here to read a chapter and for free Amelia Bedelia teaching guides and classroom activities! Veterans Day is a special recognition during fall. Why not prepare your students by giving them a deeper understanding of veterans and, in turn, showing veterans how much their service means by planning a Take a Vet to School Day classroom event? You can download free curriculum guides for grades K–12 and a how-to guide with suggestions for organizing your event. Plus, when you register, you’ll get 30 free Take a Vet to School Day wristbands, while supplies last. Click here to register and download your free guides! 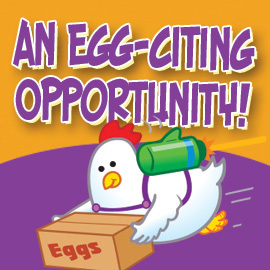 Here’s an “egg-cellent” opportunity: enter the Eggs Across the Curriculum Sweepstakes for a chance to win one of three iPad minis! Then download dozens of free teaching resources about modern egg farms, nutrition and science, the importance of a healthy breakfast, and more. 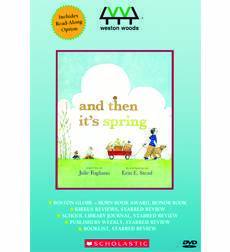 There are Common Core–aligned activities for students in grades K–9, a preschool “Fun on an Egg Farm” unit, and take-home certificates for all grades! Enter the sweepstakes and get these free teaching resources at TheMailbox.com/eggs. Don’t forget, submit a comment for your chance to win all four DVDs! PS: You can still get a FREE advanced-reading copy of Space Taxi: Water Planet Rescue. It’s so easy to get this book. Just click here to submit a comment to “Catch a Space Taxi to a Galactic Giveaway of 200 Books!” Make sure you include your full name and address so we can mail you your book. Cross my heart—your name and address will not be posted with your comment nor will they be saved. Two hundred books will be given away! I love the Take A Vet to School! Anytime we can honor our vets and teach our children to do the same…is great. Too many of our students have no idea who it really is that helps to keep our country safe, free, and secure. I love Mix It Up! Love Love Mix it up. Would love the dvds. I would love the 4 DVDs because we investigate color in 2nd grade. This week my class will create a beautiful colorful fall tree landscape. They will definitely investigate various fall colors in this project. 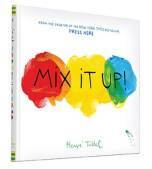 “Mix It Up!” looks like a wonderful resource! It is a toss up between Mix it up and Take a Vet to School…I LOVE LOVE LOVE art and letting the kids get messing but the military is also my life for my husband and I…so I can’t choose! but would love the opportunity to win some DVD’s for my preschool classroom! I love the Mix it Up-it looks like a great book.